Once you have learned the fundamentals of Vault, the next step is to start integrating your system with Vault to secure your organization's secrets. 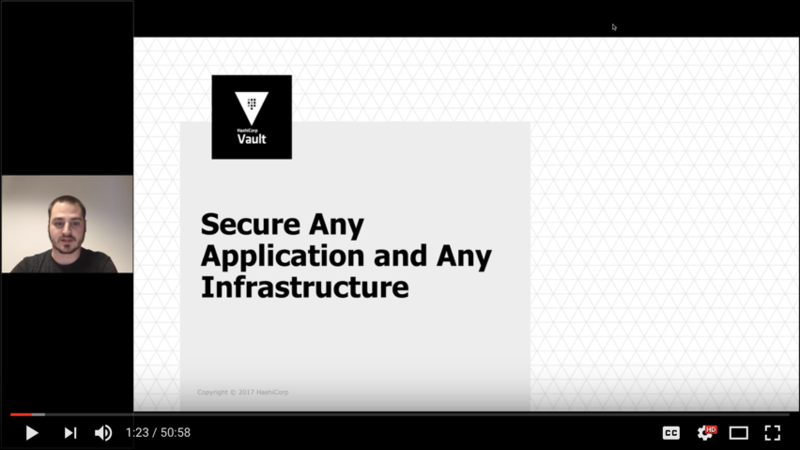 The purpose of this guide is to go through the working implementation demo introduced in the Manage secrets, access, and encryption in the public cloud with Vault webinar. The Java application in this demo leverages the Spring Cloud Vault library which provides lightweight client-side support for connecting to Vault in a distributed environment. Incidents of data breaches which expose sensitive information make headlines more often than we like to hear. It becomes more and more important to protect data by encrypting it whether the data is in-transit or at-rest. However, creating a highly secure and sophisticated solution by yourself requires time and resources which are in demand when an organization is facing a constant threat. Vault centralizes management of cryptographic services used to protect your data. Your system can communicate with Vault easily through the Vault API to encrypt and decrypt your data, and the encryption keys never have to leave the Vault. For the purposes of this guide, you are going to provision a Linux machine locally using Vagrant. However, the GitHub repository provides supporting files to provision the environment demonstrated in the webinar. The source code can be found under the src/main directory. The demo Java application leverages the Spring Cloud Vault library to communicate with Vault. In the TransitConverter class, the convertToDatabaseColumn method invokes a Vault operation to encrypt the order. Similarly, the convertToEntityAttribute method decrypts the order data. The VaultDemoOrderServiceApplication class defines the main method. The OrderAPIController class defines the API endpoint (api/orders). Now let's run the demo app and examine how it behaves. To keep it simple and lightweight, you are going to run a Linux virtual machine locally using Vagrant. In the vault-guides/secrets/spring-cloud-vault/vagrant-local folder, a Vagrantfile is provided which spins up a Linux machine where the demo components are installed and configured. There are 3 Docker containers running on the machine: spring, vault, and postgres. Notice that the log indicates that the Vault server is running in the dev mode, and the root token is root. You can visit the Vault UI at http://localhost:8200/ui. Enter root and click Sign In. Select the transit/ secrets engine, and you should find an encryption key named order. Under the Policies, verify that the order policy exists. This order policy is for the application. It permits read on the database/creds/order path so that the demo app can get a dynamically generated database credential from Vault. Therefore the PostgreSQL credentials are not hard-coded anywhere. An update permission allows the app to request data encryption and decryption using the order encryption key in Vault. Create a new shell session in the spring container. drwxr-xr-x    1 root     root            51 Apr 18 16:00 .
drwxr-xr-x    1 root     root            51 Apr 18 16:00 .. The client token was injected into the spring container as an environment variable (VAULT_TOKEN) by Vagrant. Enter exit to close the shell session in the spring container. Let's list the existing database roles. Notice that there is a role name starting with v-token-order- which was dynamically created by the database secret engine. NOTE: To learn more about the database secret engine, read the Secrets as a Service: Dynamic Secrets guide. Enter \q to exit out of the psql session, or you can open another terminal and SSH into the demo virtual machine. If everything looked fine in Step 2, you are ready to write some data. You have verified in the spring log that the demo app successfully retrieved a database credential from the Vault server during its initialization. The next step is to send a new order request via the demo app's orders API (http://localhost:8080/api/orders). Create a file payload.json with the following contents. Send the file in a request using cURL. 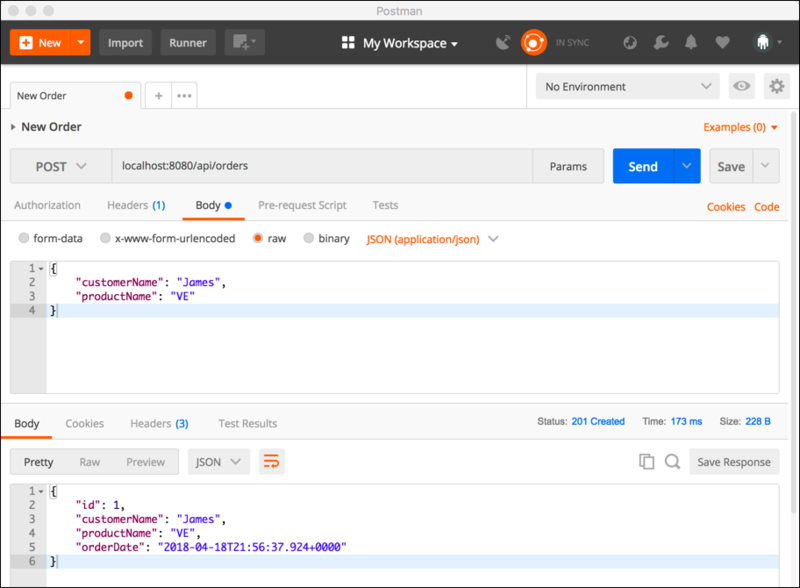 NOTE: Alternately, you can use tool such as Postman instead of cURL to invoke the API. The order data you sent gets encrypted by Vault. The database only sees the ciphertext. Let's verify that the order information stored in the database is encrypted. In this demo, Vault encrypts the customer names; therefore the values in the customer_name column do not display the names in a human readable manner (e.g. "James" and "John"). The customer names should be readable. Remember that the order policy permits the demo app to encrypt and decrypt data using the order encryption key in Vault. Vault UI makes it easy to decrypt the data. In the Secrets tab, select transit/ > orders, and select Key actions. Select Decrypt from the transit actions. Now, copy the ciphertext from the orders table and paste it in. Finally, click Decode from base64 to reveal the customer name. Now, let's test another API endpoint, api/secret provided by the demo app. A plain old Java object, Secret defines a get method for key and value. The SecretController.java defines an API endpoint, api/secret. Remember from Step 2 that the order policy granted permissions on the secret/spring-vault-demo path. The demo app retrieved the secret from secret/spring-vault-demo and has a local copy. If someone (or perhaps another app) updates the secret, it makes the secret held by the demo app to be obsolete. Spring offers Spring Boot Actuator which can be used to facilitate the reloading of the static secret. This is the secret that the demo app knows about. The current value stored in Vault is now my-api-key; however, the demo app still holds hello-vault. Spring provides an actuator which can be leveraged to refresh the secret value. At line 54 of the vault-guides/secrets/spring-cloud-vault/pom.xml, you see that the actuator was added to the project. It should display the correct value. In the webinar, the demo environment was running in a public cloud, and Nomad and Consul were also installed and configured. If you wish to build a similar environment using Kubernetes, the assets in the vault-guides/secrets/spring-cloud-vault/kubernetes folder provides you with some guidance.